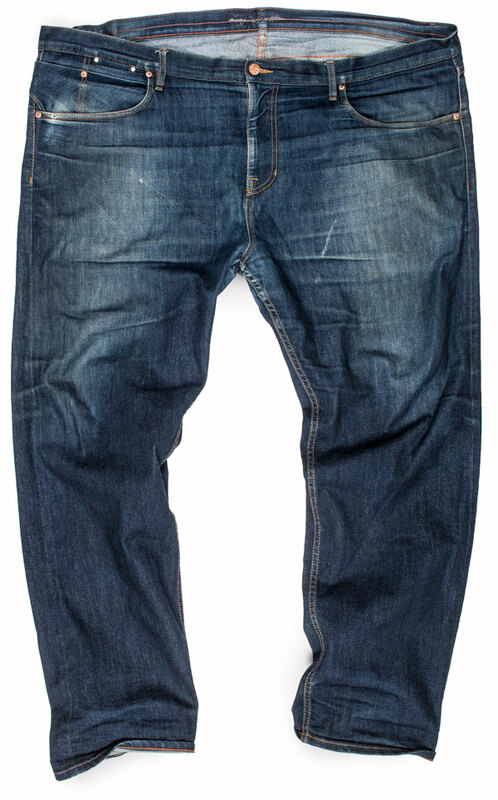 More proof stretch raw denim fades nicely, we review a big men's jeans size 48 in stretch selvedge from our Big & Tall collection, fully broken-in after being worn and washed over a few years. This pair was purchased in the form of raw jeans in October 2015 by a frequent customer who always orders additional hemminng from our ALTERATIONS section. This pair measures 19 inches at the bottom, which is only 1 inch smaller than our standard Grand Street fit. 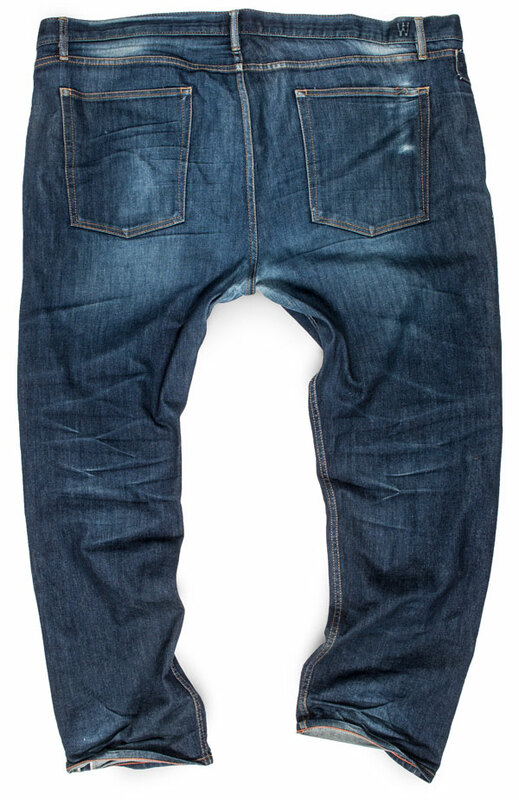 We'll use our best judgement and say the 19 inch taper on this jeans is from wash shrinkage. We don’t have customer submitted facts about the frequency of wear or washing but we can see from the brightness of the white yarns on the rear side, this pair has indeed been washed. The thighs at the front show signs of abrasion and have a dirty tint from oils and hand rubbing.